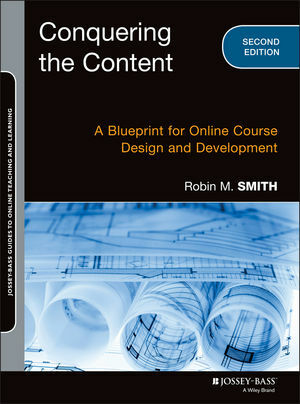 Conquering the Content: A Blueprint for Online Course Design and Development, Second Edition is a highly practical guide to creating online courses. With guidance on incorporating learning theory into online course content, as well as a host of templates, learning guides, and sample files, this book furnishes instructors and instructional designers with the information and tools they need to design and develop their course content to better serve online students. This second edition introduces relevance statements and time-saving tips as well as content maps which provide a scaffold for content organization and help students anchor the topics in their memories for retrieval. Readers will gain expert insight and best practices for designing within the rapidly changing online learning environment and learn to incorporate recent advances that can improve student outcomes. Because the book is designed to focus on online teaching pedagogy, it won't go out of date as specific tools change. Time is of the essence in getting a course online, but it's important that pedagogy not get lost in the crush of new content. Course design is just as critical as course content when it comes to distance learning outcomes, and Conquering the Content provides a holistic and practical approach to effective online course development. Robin M. Smith, Ph.D. is currently Director of eLearning and Continuing Education at University of Arkansas at Little Rock. Previously, she was Coordinator of eLearning at University of Arkansas for Medical Sciences for eleven years where she was in charge of faculty development for all five colleges plus the graduate school. She has over sixteen years experience teaching online and fifteen years experience in faculty development and course design. In addition, Smith was responsible for course design and development for six colleges; during this time the institution experienced tremendous growth in the number of online courses. Transition Guide (PDF) : Transitioning from the first edition to the second? Use this handy transition guide to realign your syllabus.